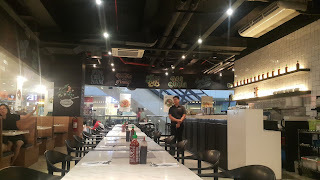 My first time to dine here was in their branch in Gateway Mall, Araneta Cubao where we ordered Chicken rice meal, pad thai and the famous Thai dessert which is a fried banana (turon like) with ala mode. It's a fine dining restaurant that has a pretty huge space for group meals and dates. Just recently, another friend of mine joined me to try their branch in Bonifacio stopover and I can't still get over with their Pad Thai recipe! I just really love it. 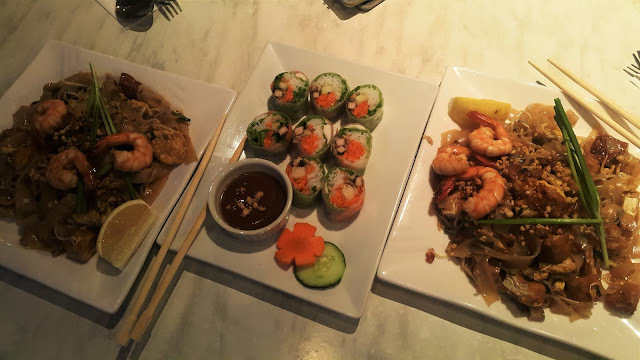 Both I and my friend ordered Shrimp Pad Thai! Pad Thai is a rice noodle dish (hofan noodles) with some peanut sauce cooked with bean sprout and some spring onions and powdered nuts. Here at My Thai, they serve it with lemon that you squeeze in and mix with the noodles. We also ordered a Vietnamese roll with shrimp and pork inside. It's like a kimbap style but is rolled in fresh thin wraps, inside are thinly cut carrots and cucumber together with the meat. 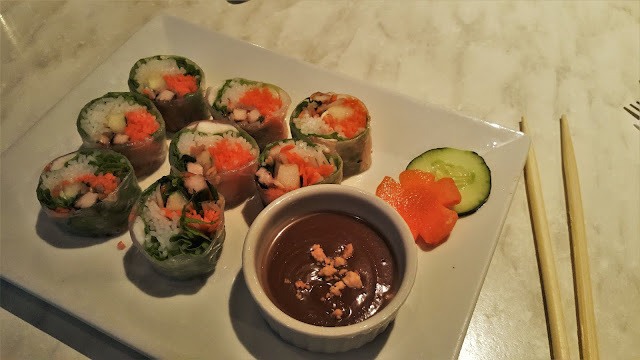 It's super fresh and you can eat it as it is or you may try it dipping in their peanut sauce. 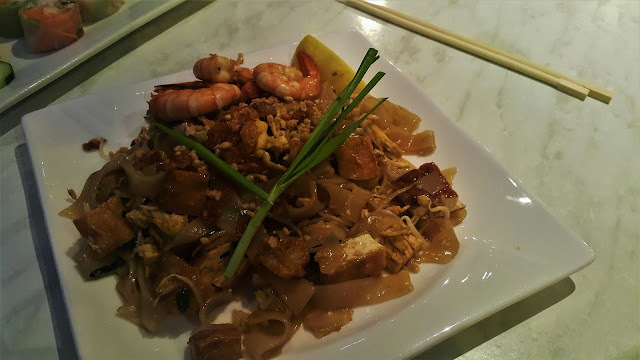 Pad Thai is a must if you'd like to eat Thai cuisine for the first time. 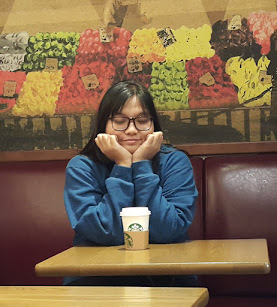 Here, there's no service charge so you may spend just around 500 pesos or less each. 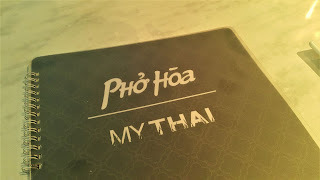 For our order, we had 2 Pad Thai and 1 Vietnamese roll for 700+ only.